When he signed an order to roll back climate policies yesterday, President Trump promised more jobs for coal miners. PRESIDENT DONALD TRUMP: My administration is putting an end to the war on coal, going to have clean coal, really clean coal. MCEVERS: And NPR's Jeff Brady reports there is a big effort to make coal plants cleaner by capturing their carbon emissions. JEFF BRADY, BYLINE: Coal is responsible for most of the carbon dioxide emissions from power plants. And reducing that CO2 is a priority. UNIDENTIFIED MAN: You know, Mississippi is a great place to live. 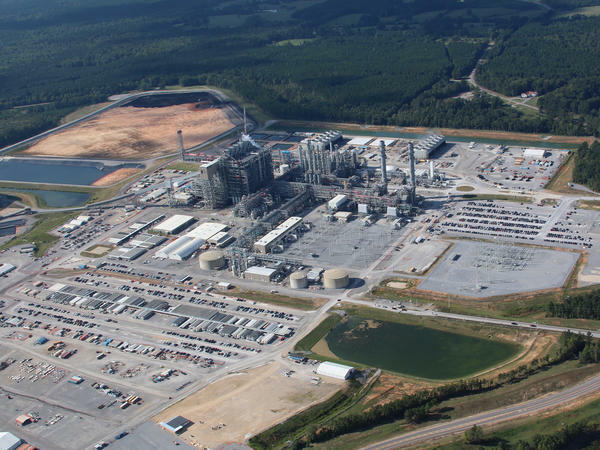 UNIDENTIFIED MAN: The price tag for the proposed Kemper County plant is some $2.4 billion. BRADY: But today, the price has exploded to nearly three times that. Mississippi Power got some help paying for this new kind of power plant, including a $270 million grant from the U.S. Department of Energy. UNIDENTIFIED MAN: And $133 million dollars in investment tax credits. BRADY: Actually, the utility had to pay back the tax credits because the plant wasn't finished by a 2014 deadline. It's still not finished. But John Thompson with the Clean Air Task Force says don't dismiss the Kemper plant just yet. JOHN THOMPSON: What I think is important to remember about those cost overruns is that they didn't really have much to do, if at all, with the technology of carbon capture. BRADY: Most of the problems are with another part of the plant where coal is turned into a gas before it's burned. 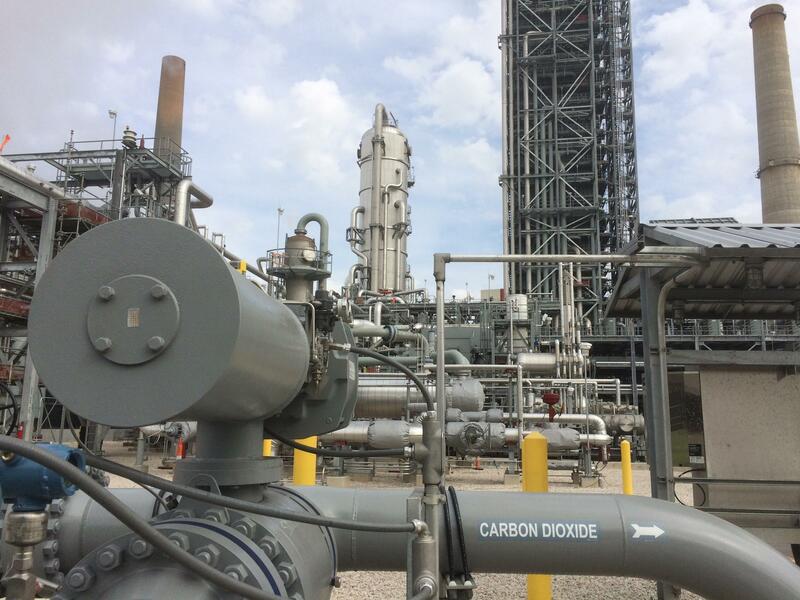 Some environmentalists don't support carbon capture projects like this. They want coal left in the ground and renewable energy to take its place. But the wind and solar industries likely won't grow fast enough to meet the world's energy needs for decades. Thompson worries that in the meantime, climate change will harm the natural areas and endangered species environmentalists have worked for a century to protect. THOMPSON: And all that can change with just a few degrees of temperature rise on the planet. And I'm just not willing to bet everything that we've worked for as an environmental movement. BRADY: The coal industry still hasn't signed on to the idea that climate change is a huge problem. But if the country wants coal companies to reduce CO2 emissions, Betsy Monseu with the American Coal Council says her industry will need more help. BETSY MONSEU: The U.S. supported renewables development with tax credits of about $37 billion over the period of 2010 to 2014. And coal technology received 1 billion during that time. 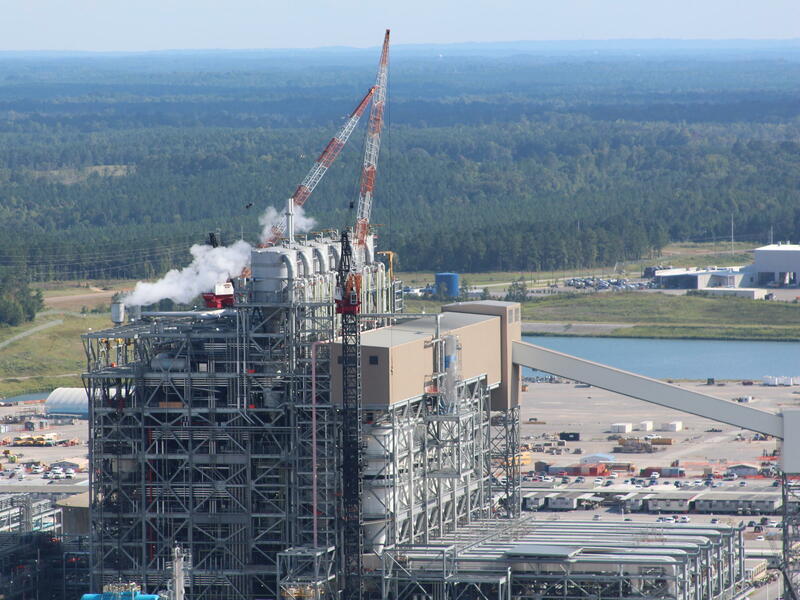 BRADY: There are some successful carbon capture projects, including one outside Houston at an existing coal plant. DAVID GREESON: So the noisemaker here on the right is the fan that drives the whole system. BRADY: NRG Energy Vice President David Greeson is wearing a white hard hat and a yellow safety vest. He says a chemical process removes carbon dioxide from the coal plant's emissions. GREESON: Right now, everything everything's new. We're actually capturing above 95 percent. BRADY: But that's from only one of the plant's four generators. And the equipment cost a billion dollars. Making this a carbon-free plant would cost a lot more. Still, here's why this could become a model. There's a market for all that carbon dioxide that's captured. NRG is piping it to a Texas oil field, where it's used to boost crude production. The CO2 stays underground. And NRG gets paid enough to cover the cost of the new carbon capture equipment. Jeff Brady, NPR News. (SOUNDBITE OF GREYBOY SONG, "MASTER THE ART") Transcript provided by NPR, Copyright NPR.